Burst the balloon and your pink or blue confetti will cascade to the ground in a truly spectacular 'Pop'. 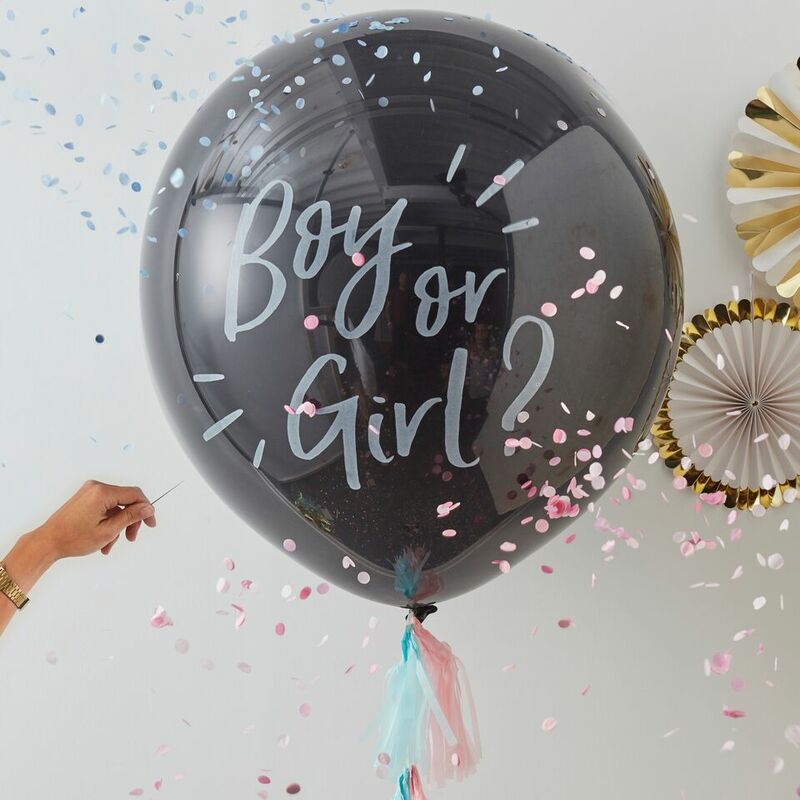 The most stunning way to reveal the gender of your baby. 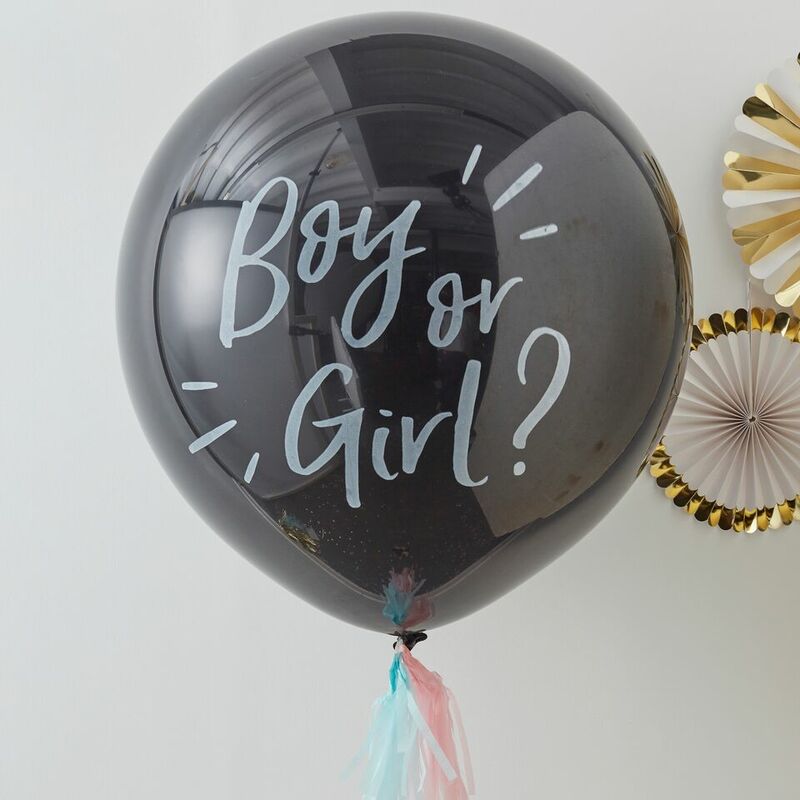 Our gender reveal balloon comes with pink and blue confetti - you choose which colour and pop it inside the balloon, Add the tassels in pink and blue around the string so the reveal remains a surprise until the pop! 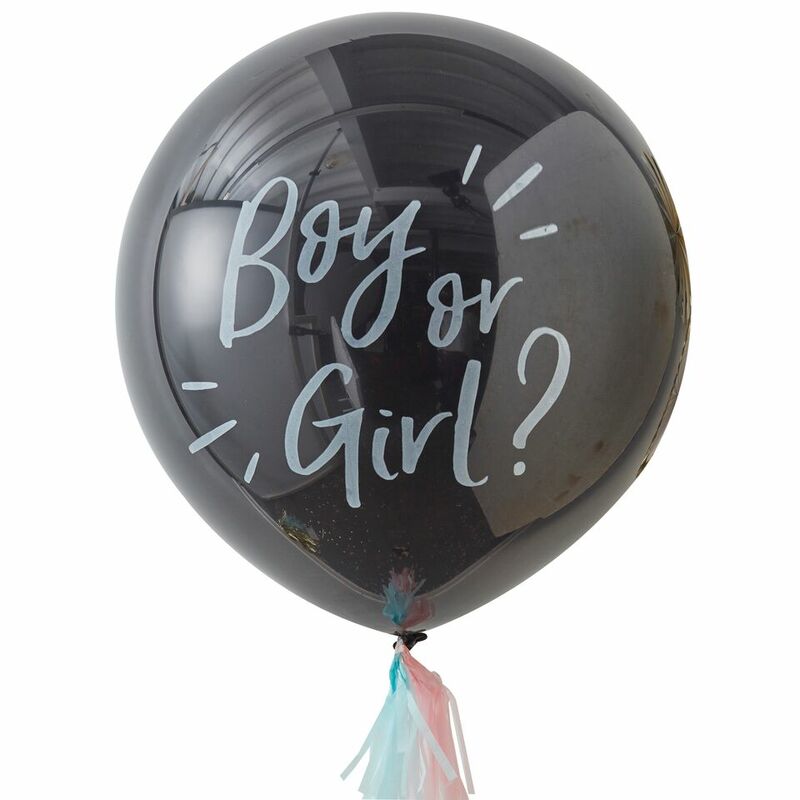 Each pack contains One giant 36" balloon, two pink and two blue tassels, pink and blue confetti and 1m of clear string.